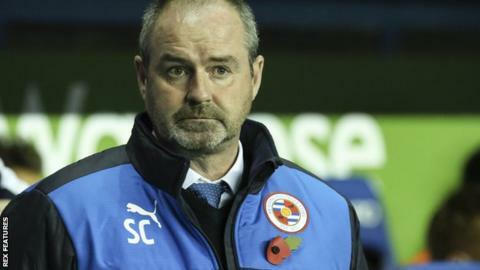 Steve Clarke has confirmed he will remain as manager of Reading after holding talks about the managerial vacancy at Championship rivals Fulham. The 52-year-old, who has been Royals boss since December 2014, said: "It's been a strange week but I know I've made the right decision. "I just want to get back on with the work we're doing here at Reading," he told BBC Radio Berkshire. Reading are eighth in the table, four places and four points above Fulham. Clarke led Reading to an FA Cup semi-final last season and to as high as second in the Championship this term. Fulham are looking to appoint a new boss after dismissing Kit Symons on 8 November. "It wasn't close," continued Clarke. "I got permission from Reading to speak to Fulham, we had a chat, I came back in here the next day and I was out there on the training pitch working towards the weekend." And the former West Bromwich Albion boss added that he "understood" why some Reading fans would feel anger at his decision to hold discussions with Fulham. "I'm a professional and someone's prepared to pay a certain amount of money to speak to me about a possible job, it's something that, as a professional, I've got to look at," he said. "Everybody behaved very well. The club were great to me, they gave me the go-ahead to speak to Fulham. I had a good conversation with them and decided that what I had here was better for me at this stage."